Dragons are stealing the show this Halloween and you will want to be front and center! 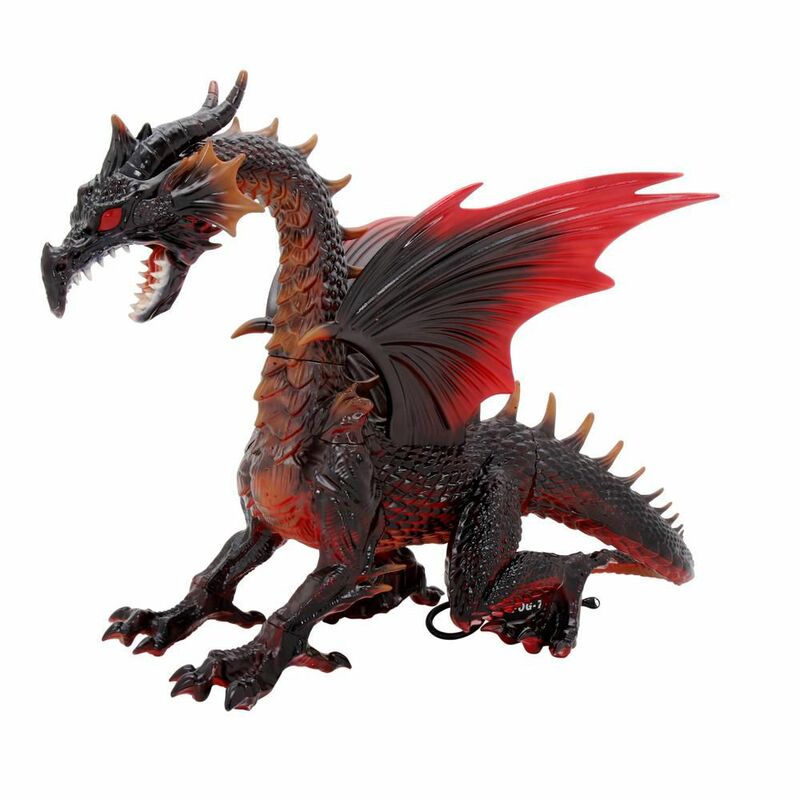 This Animated Dragon will take your breath away with its fantastic smoke blowing detail and light up eyes. The amazing attention to detail of this piece will make anyone believe in magic! The Animated Dragon is molded in detail with gray scales and red wings for a fantastic display of wonder. This is a FUN, QUICK & EASY Halloween Fabric Balcony Banner decor - simply place on any balcony, porch or fence and secure with the black nylon rope ties included. Rain or shine, this quality print, washable & reusable Balcony or Fence Banner will always look great, with it's water repellent coating and UV protection. This Balcony Banner is just one of CTM Holiday Fun Fabric decorations... see our Bush Covers, Door Decors and other lovable designs ! The Legend from Sleepy Hollow is here, and he's looking for his head! This impressive 6 ft -tall Headless Horseman ,prop is of a headless rider holding a flickering jack o'lantern as he's seated on a rearing horse that kicks its legs and tosses its head! Plug in the UL power adapter into any standard outlet & choose from Steady-On or Infra-Red Sensor activation options to operate. Once activated, the Headless Horseman's jack o'lantern will light up with an other-worldly glow as the horse's legs kick while saying one of five sayings. Also attaches to your fog machine (not included), fog flows in time with horse sounds ! Assembly required. Infrared sensor activation and steady on. Plug-in/UL Listed Adapter. Sound Volume Control. For Indoor Use. Don't lose your head and pick up this prop today! Looking for that special spooky item to complete your haunted home this season? This hanging Zombie with creepy sound effects is a must have for your set. This ghoul comes to life with sound effects and LED illumination to heighten the creepy ambiance. Sure to delight and frighten anyone who passes by, this prop will inspire fun-filled terror. Its no laughing matter to cross paths with this terrifying Animated Clown. Dressed in a harlequin style outfit and garishly painted face, this bozo is no joke when it comes to scaring. Glowing red eyes and animated movements complete the nightmarish sight. Crouching Fire Dragon with Fog Dragons are stealing the show this Halloween and you will want to be front and center! This Animated Dragon will take your breath away with its fantastic smoke blowing detail and light up eyes. The amazing attention to detail of this piece will make anyone believe in magic! Crouching Fire Dragon with Fog is rated 4.4 out of 5 by 103.